Niagara Falls is most likely the most well-known and visited tourist attractions in the country. While it is possible to visit the falls from the American side, the Canadian side has a lot more to offer in terms of attractions and activities. 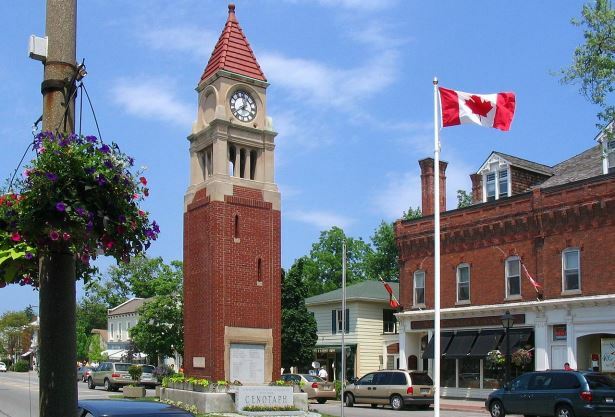 Niagara on the Lake is often referred to as the loveliest town in Canada and, once you visit, you will understand why. Due to the peaceful, scenic and tourist nature of the town, you can expect Niagara on the Lake accommodation to fetch a slightly higher price than some other cities and towns. However, if you are trying to stick to a budget, a quick search online for hotels in Niagara on the Lake will reveal the best rates in the area and possibly some additional discounts too. It is important to mention that there are several tour operators in the area that offer superb packages. No matter how much or how little time you have at your disposal, there’s something that will fit your schedule and budget. Some tour operators will even pick you up from your Niagara on the Lake hotel or at least arrange a convenient nearby meeting point. The top local sight, of course, are the falls. Once there, you have your choice of hopping aboard the Maid of the Mist for a close up look at its magnificent power. Walks behind the falls are also popular as is a trip up the observation tower. There are plenty of restaurants, cafés and other attractions here like Ripley’s Believe It or Not! Museum, Guinness World Records Museum and several themed wax museums too. For those who enjoy waking and hiking, the scenic Niagara Parks Garden Trail is definitely worth exploring. The grounds are very well maintained and walking through the lush foliage provides a wonderful escape from the busy city life. If you would rather have a four-legged friend do most of the work, you can put your name down for a horse trail. These rides will take you through some of the most scenic parts of the local wine country and leave you with lasting memories. The Queenston Heights Park is fantastic for flower lovers and anyone looking for a relaxing place to enjoy a slow stroll accompanied by stunning natural scenery. Whether or not you enjoy wine, you simply have to visit some of the local wineries. Look for those which produce a specialised kind of wine known as Ice Wine. Ice Wine is made from frozen grapes collected during the winter months. They require an extremely strong press (stronger than those used for regular wines) to squeeze the juice out of them. Because they are frozen, the content of juice is a bit lower but extremely sweet. Ice Wine fetches a high price due to the amount of work involved but it is sweet, smooth and perfect for finishing off any meal. Once you get a taste, you will probably be tempted to buy a bottle for yourself and for somebody special back home. Niagara on the Lake is also home to several museums that cover a wide range of themes and allow visitors to really enjoy the local history and culture. You might not find many massive shopping malls around here but, instead, you will see a variety of different speciality shops that sell everything from cheese and wine to sweet treats and various other local products. Just walking around town is stimulating enough to keep you out of your hotel accommodation in Niagara on the Lake for the whole day without giving it a second thought. While you are in the area, a day trip to Toronto could also be on the cards. If you have your own rental car, then feel free to drive into the city yourself. Otherwise, since it’s not a long trip at all, you can take a taxi or find another form of public transport that you prefer.